Wouldn’t it be great if the details of electricity plans were easy to understand and you could see an accurate comparison of costs before signing up with a new provider? At Canstar Blue, we like to make sense of the complicated and in this report we show consumers in New South Wales what they are likely to pay with the state’s major energy companies. Based on the cents per kWh usage costs and daily supply charges of the energy companies in this comparison, plus average energy usage statistics from the Australian Energy Regulator, we can show households that are connected to the Ausgrid network in Sydney and surrounding areas (this includes Newcastle and the Central Coast) where they can find some of the cheapest electricity prices. The Ausgrid network covers large parts of inner, northern and eastern metropolitan Sydney, plus other surrounding areas. 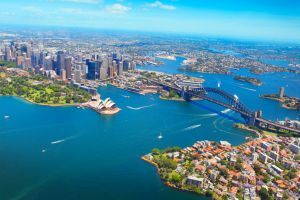 Costs for other distribution networks of NSW may differ slightly. Which energy provider is cheapest in NSW? There is often a perception that electricity prices vary little between different providers, but as you will see from the comparison below, they certainly can do. So, where can you find some of the cheapest electricity plans in NSW? These annual costs are based on three-person households with average energy consumption. We’ve selected the cheapest offer from each provider. Our database may not cover all deals available in your area, and please check retailer websites for up to date information. *Costs based on annual usage statistics from AER for a three person household living on the Ausgrid network in Sydney, April 2019. One non-exclusive energy plan per retailer shown. There may be other retailers in your area. Based on this specific cost comparison, we see that Energy Locals, EnergyAustralia and Simply Energy currently offer the cheapest electricity prices in Sydney after all their conditional discounts have been applied. However, it’s interesting to see so many plans with no discounts emerging as some of the cheapest overall. Small providers like Momentum Energy, ReAmped Energy and Powerdirect follow next with competitive rates, followed by bigger names like Origin and AGL. These cost calculations are based on one postcode on the Ausgrid network in NSW. To find specific quotes for your suburb, use our comparison tool above. Most of the electricity plans listed above are variable rate plans, meaning the prices you are changed can change at the retailer’s discretion. Some energy providers also offer fixed rate plans, whereby you can lock in competitive prices now with the aim of saving in the long run. Fixed rate plans are usually only offered by the big three power companies. 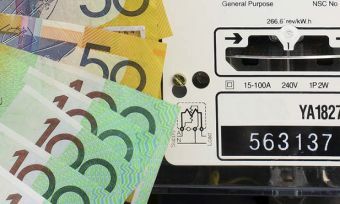 However, EnergyAustralia and AGL are currently the only retailers to offer NSW households a fixed rate deal with their Secure Saver and Essentials plans respectively. In this case, usage and supply rates are locked in for one or two years, which may prove a financially beneficial move in the long run. Energy discounts are important, but that’s not to suggest that the energy provider with the biggest headline discount offer will always work out to be the cheapest, because this is quite often not the case at all. For example, Red Energy typically offers modest discounts, but with lower base rates, is often one of the most competitive overall. This is helped by the fact that its discount applies to your entire bill, not just usage charges. This is another point to consider when comparing offers. Also remember that energy discounts are usually conditional, which means that if you fail to meet the conditions of your plan, the discount will be removed and you will go back to paying the full rate. You may even incur a fee, too. Energy discounts can significantly reduce your overall power costs. However, it’s hugely important that you understand the benefit term of the plan you’re signing up to. The benefit term is the period of time that the discount on your energy plan applies. In most cases, the benefit term will be just 12 months, although some providers offer discounts over two years. Simply Energy is one example in our NSW comparison. After the benefit period ends, your discount could disappear and you’ll be left paying the non-discount price for the electricity you use. Some retailers, including Dodo Power & Gas, Click Energy and Powershop, offer ongoing discounts. You can also take into consideration any additional sign-up incentives offered by the energy companies. These incentives should not dictate your final decision, but they can be a useful point of difference if you’re comparing two similar providers. Incentives could include a rebate on your first bill when you sign up online, or a gift voucher for a particular retail store. Red Energy goes even further in terms of incentives, giving its customers the opportunity to join its rewards program whereby they can earn special deals on things like cinema tickets and eating out. AGL customers can earn flybuys points for every dollar they spend on energy. Are you offering me the plan with the lowest usage rates? How much are the supply charges and how do they compare to other plans? Is there a contract? How long is it? Are there any exit fees if I leave? What discount can I get off my bill and how do I quality for the discount? What is the benefit term of the discount? Will it disappear after a year? Can you offer me any additional sign-up incentives? Even if you’re not switching, these are still good questions to ask your existing energy provider to make sure you’re currently getting the best deal possible. Which energy provider is rated highest in NSW? For many households, the cost of energy will be the most important factor when signing up to a new plan. However, other considerations, particularly customer service, are also worth giving some thought. Everyone wants low prices, but at what cost? This is why Canstar Blue annually surveys electricity bill-payers across NSW to find out how they rate their provider based on a number of variables, including customer service, bill clarity and value for money. In 2019, and for the fifth year in a row, Red Energy is the highest-rated electricity provider in NSW for overall customer satisfaction. While this price comparison report looks at the biggest electricity providers in NSW, it’s important to know there might be others available in your specific area. Competition between the retailers is intense, which is great news for consumers looking to reduce their costs. There are opportunities to save money, provided you are willing to look. Switching electricity providers is clearly not a priority for every household – some will be genuinely happy where they are, and that’s great – but if there is one message to take away from this report, it’s that regularly comparing plans is a good idea if you want to reduce the amount you pay for electricity. You might just find a good deal.